Producing a remake of a multi-platinum selling worldwide hit is always a challenge but when Yves Larock decides to rise to the task he doesn't do things by halves. Eager to add his grain of salt whilst staying true to the original, Yves brings us this major 80s hit in style. 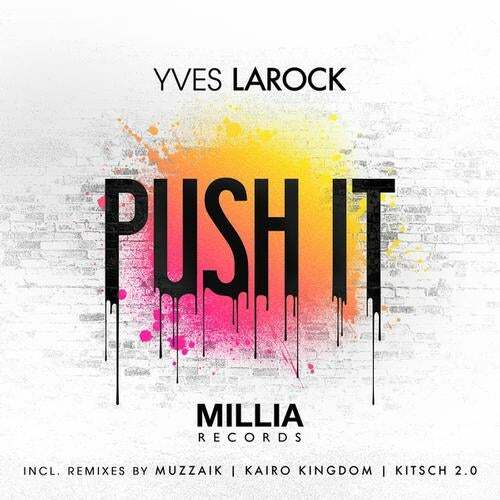 In this very first cleared remake of the Salt-n-Pepa mega hit Yves Larock seasons the original like nobody else with his uplifting piano hook punctuated by a rather large dubstep wobbling bass thrown in for good measure. The package comes with a set of quality remixes with Muzzaik delivering his trademark addictive basseline for starters. For the main course Kairo Kingdom gradually brings a disconcertingly downtempo track to the boil finishing in a dubstep peaktime high. If you still have room for dessert KitSch 2.0 closes the lid on this release with a powerful electro-house number that is sure to bring even the most conservative clubber to the floor. This release is set to be a big time favourite once again in the clubs and on the airwaves so push it real good baby!